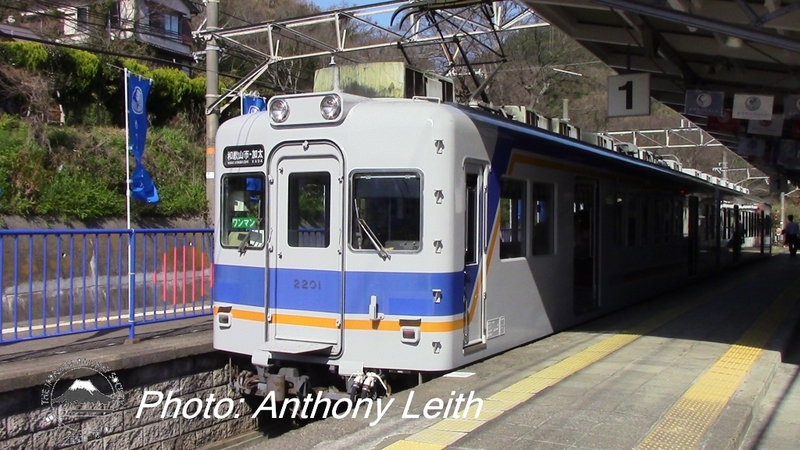 The Nankai Electric Railway is a large private railway in the Kansai area, running south from their Ōsaka terminal station at Namba to points south such as Wakayama, Koyasan and competing with JR West for passenger traffic to Kansai International Airport. 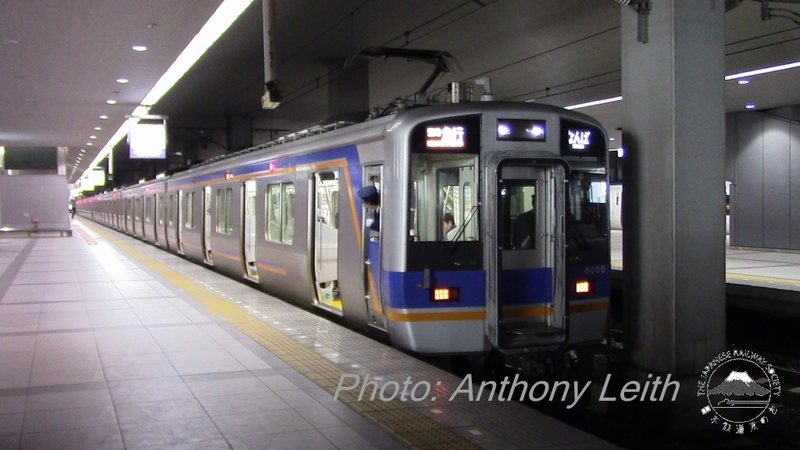 Nankai is unusual in comparison with other Kansai private operators in that it uses 1067mm gauge which results in no through running agreements with any of Ōsaka's subway lines nor with any of the other major priivate railway operators in the area. The only through running involves the operation in conjunction with the Semboku Railway over the 14 km line from Nakamozu to Izumi-Chūō. All Photos: Anthony Leith taken 24th March 2018. An 8000 series EMU prepared for departure from Kansai Airport with an Airport Express service to Namba. Nankai operates 3 branch lines at the Wakayama end of their main line which is known as the Nankai Line. This 2 car 2200 series EMU had just arrived at Kada, terminus of the Kada Line, which diverges from the Nankai Line at Kinokawa. 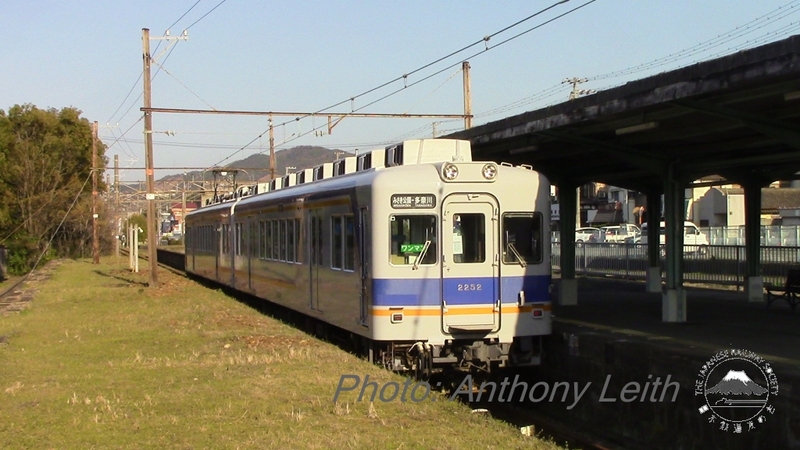 Another 2 car 2200 series EMU was operating on the 2.6km long Tanagawa line. The line diverges from the main route at Misaki-kōen.